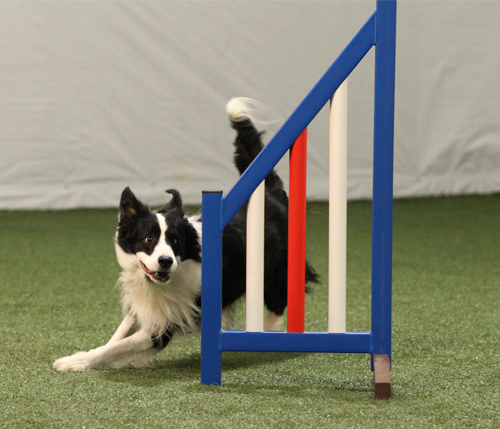 ​This online class is to improve understanding of how the course design on the map translates into actual dog performance on the field. 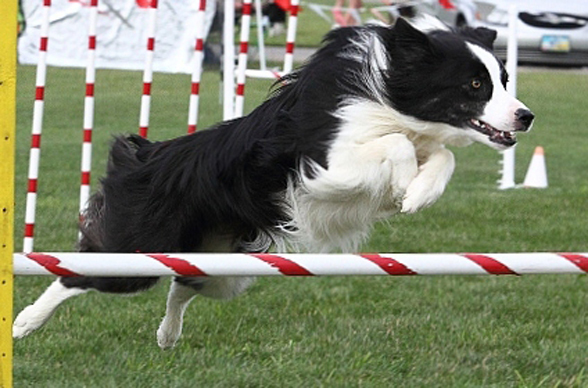 Aspects of dog performance important to consider during course design such as leads, striding and jumping skills, lines, angles of approach plus factors that affect safety and handling challenge, will be included. Click for more details. This course is part of the jumping program outlined in the book Mastering Jumping Skills (MJS). Foundation Jump Training covers material equivalent to that found in MJS Chapter 5. 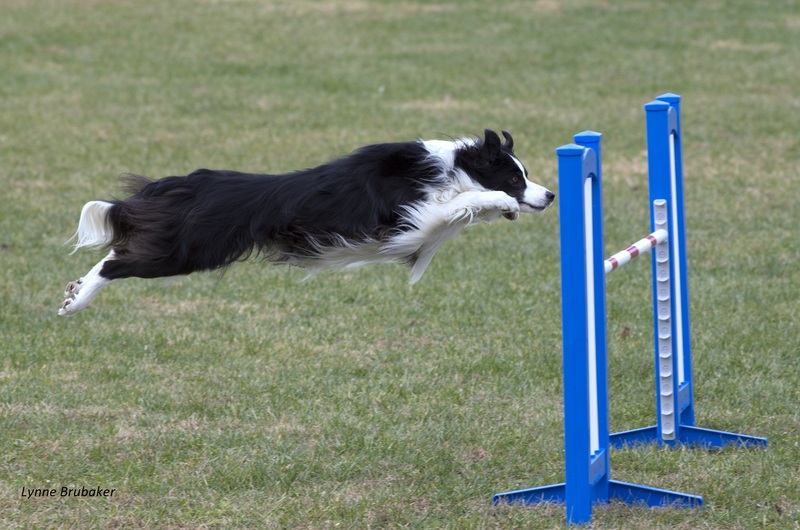 The goal for early jump training is to lay a solid foundation while maintaining consistency with the body language you will use later to cue your dog on course. Click for more details. 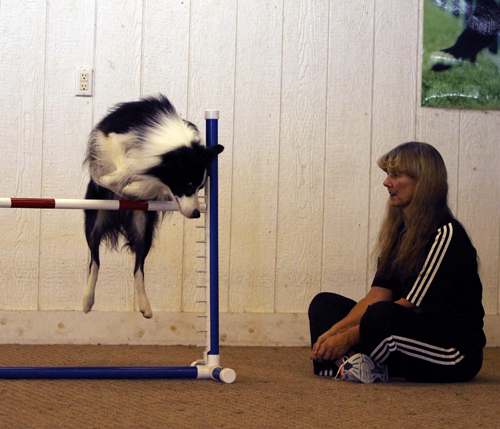 This class is designed for dogs that are currently competing to expand their jumping skills. Advanced drills from the upcoming Mastering Jumping Skills (MJS) Volume 2 such as collection grids, extension to collection transition drills, convergence, slicing, expansion/contraction drills etc will be included. Click for more details. 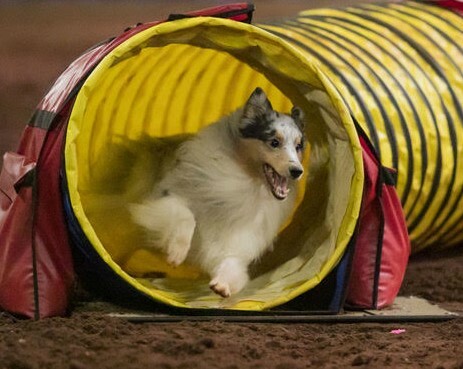 T unnels appear on almost every type of course in our sport: standard, jumpers, premier/biathlon, and then some! This class will emphasize a solid foundation on this important obstacle. Each week will build on various skills and increase the difficulty with fun and challenging drills and games. This class will help ensure that your dog isn’t missing crucial training time during the cold months of winter. We will provide short drills that require no more than five obstacles. 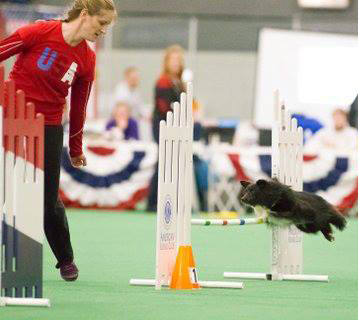 This class is designed to introduce dogs and handlers to backside skills, both at a single jump and in small drills. The basics of handling backsides will be covered. 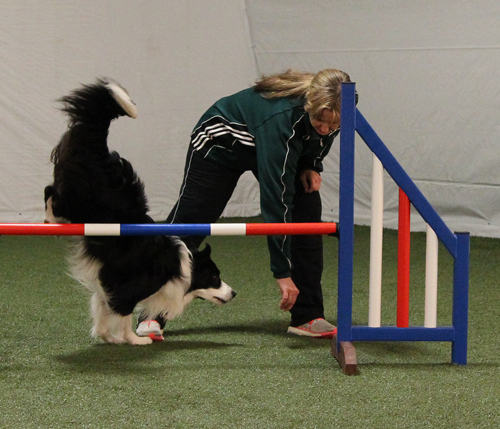 Dogs will also be taught the skills necessary for success on the most common types of backsides. Click for more details. This course is part of the jumping program outlined in the book Mastering Jumping Skills (MJS). Foundation Flatwork for Jumping covers material equivalent to that found in MJS Chapter 4. 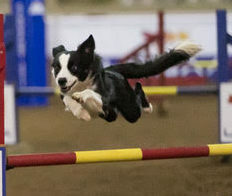 Before embarking on a jumping program with your dog, he should be prepared with preliminary training specifically geared for building future jumping skills. Preliminary training includes physical conditioning and foundation flatwork. Flatwork is used to lay the foundation for successful jumping performance before jumps are introduced. Click for more details. 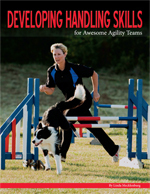 This course is part of the jumping program outlined in the book Mastering Jumping Skills (MJS). One Jump Skills covers material equivalent to that found in MJS Chapter 6. This course covers the introduction of one jump skills that are designed to practice specific mechanical jumping skills: Jumping on Cue, Recalls (Collection, Bend, Double Bend, Extension, Slice, Back up), Runbys, Sends (Forward and Backside), and Wraps. Click for more details.